Knoxville boasts a vibrant downtown with a variety of unique entertainment, shopping and dining options in and around Market Square.ever-changing landscape is home to outdoor concerts, festivals and more. Venture on over - it&apos;s just a few blocks away. 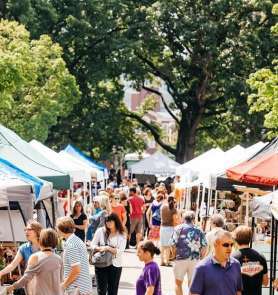 Since the 1860s, Market Square has been one of Knoxville’s most popular places to shop, work, play, eat, drink and live. Market Square is home to outdoor concerts and movies, Shakespeare on the Square and much more. The Square is located just minutes from the University of Tennessee Campus and Knoxville’s Urban Wilderness, a 1,000 acre stretch of land that features more than 50 miles of hiking and biking trails and connects parks, trails, civil war sites and recreational amenities. A number of local restaurants dot the landscape offering everything from southern-style cuisine to steak and sushi. From fine dining to savory sandwich shops, Knoxville offers a full menu of dining. Downtown is home to a number of local breweries as well, and the best part? 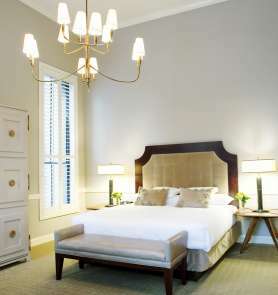 Everything is within walking distance of some of the finest hotels in the area. The Square features two water play fountains, is adjacent to the scenic Krutch Park and is always kid and pet-friendly.